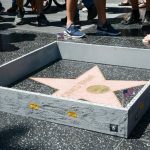 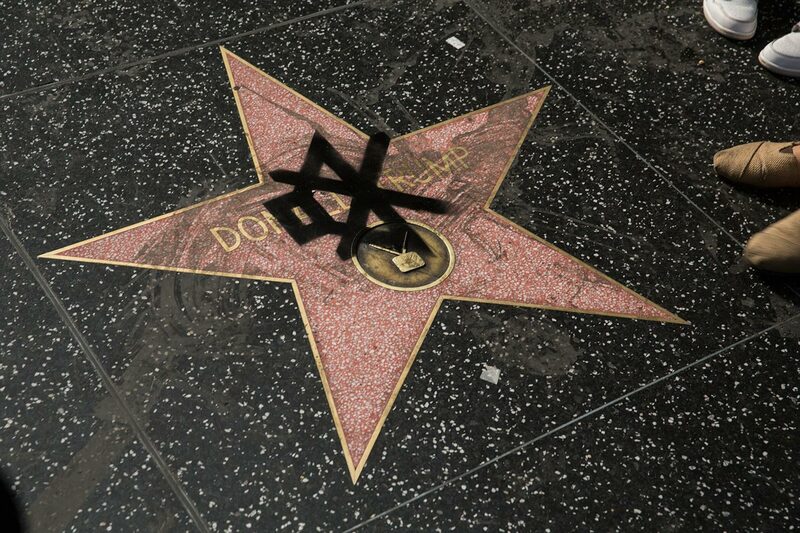 Donald Trump’s Hollywood Walk of Fame star was just enhanced with a muted sign painted by Norwegian artist Pøbel. 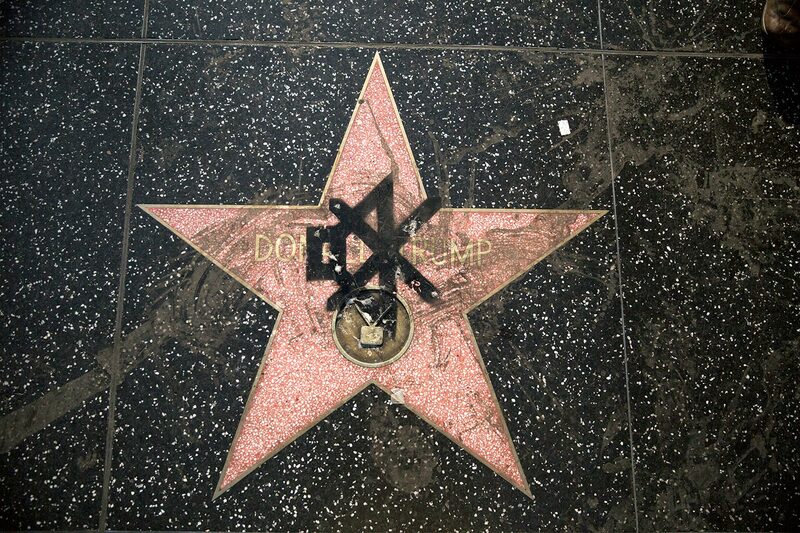 As you can see in the video above, the artist was dressed in black and geared with a pizza box and a can of black spray paint to quickly drop a stenciled muted sign over Donald Trump’s name. 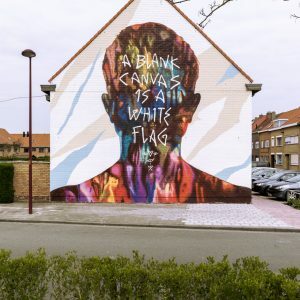 Pøbel is a Norwegian street artist based in Stavanger. 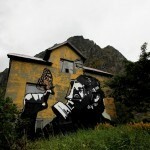 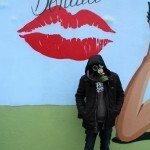 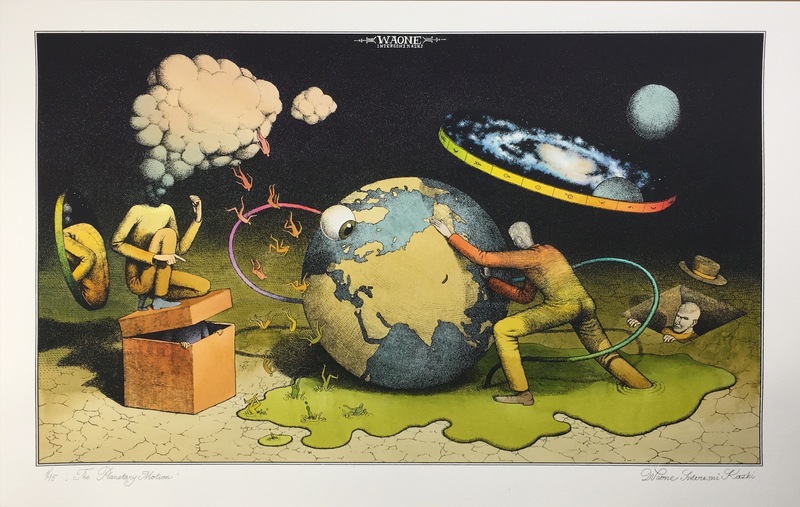 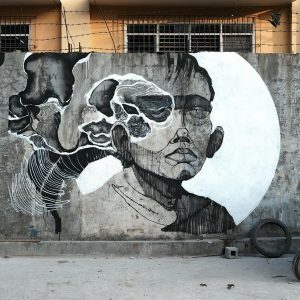 He is best known for the Getto spedalsk project, painting abandoned buildings in at the Lofoten islands in the north of Norway, along with DOLK. 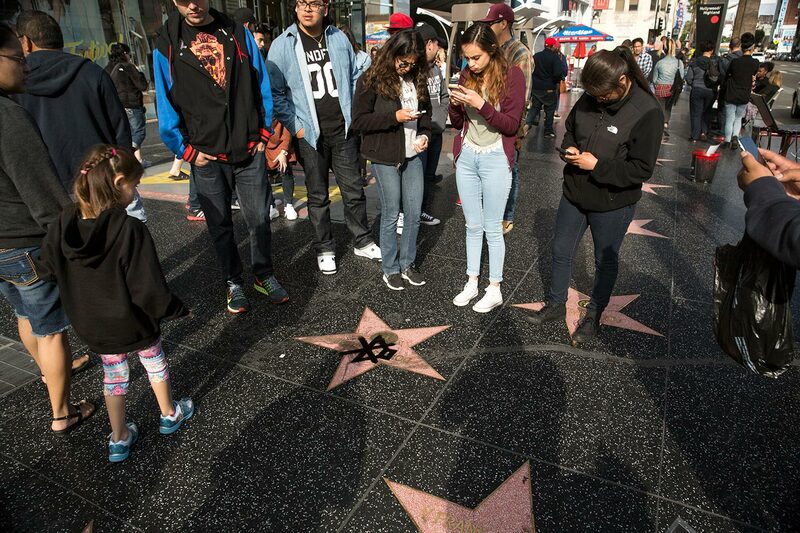 The Hollywood Chamber of Commerce oversees the Walk of Fame, and inducts a celebrity approximately 24 times a year. 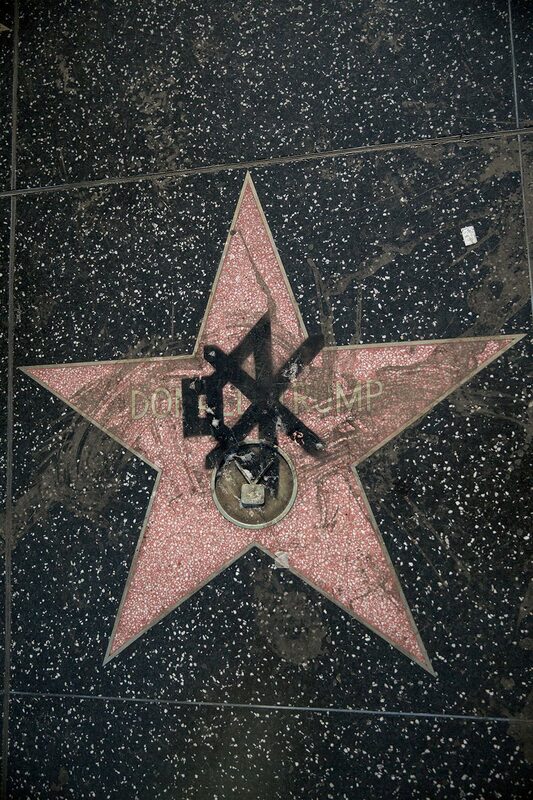 It has been adding stars for more than 50 years and will surely get this cleaned in the next few days so catch it while you can.